Located strategically in the heart of Kanchipuram, MM hotel welcomes the guest to experience the South Indian culture and traditions. 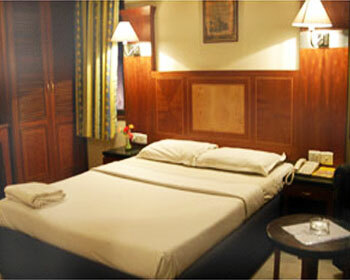 The hotel is in a close proximity to temples, bus stand, railway station, shopping area and business centers. 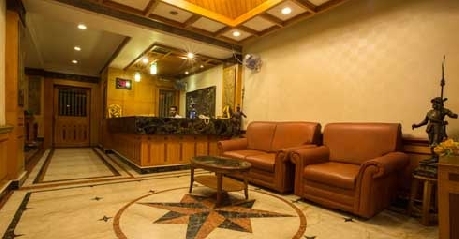 With a well designed reception the hotel includes 44 air conditioned rooms, 4 non air conditioned rooms, ample car parking space, direct dialing facility from the room, doctor on call, car rentals, laundry/dry cleaning services, lift facility, air conditioned & non air conditioned restaurant, conference facility with 2 in house banquets halls, namely Temples View that accommodates up to 150 guests and Sangamam the non air conditioned hall that accommodates about 200 guests. The guests can also visit a few tourist places that include Sankara Mutt – a monastery that was established in the year 428 BC and is half a kilometer from the hotel; Sri Kamakshi Amman temple – one of the three holy places of Sakhti temples in India and is at a distance of 5min walk from the hotel; Varadarja Perumal temples – Hindu temple that is dedicated to Lord Vishnu; Ekambareshwarer temple – the largest temple of the city, which is dedicated to Lord Shiva; Ulakalanda Perumal temple – the tall statue standing temple is dedicated to Lord Vishnu and Kailasanathar temple is the oldest structure of the city that is dedicated to Lord Shiva. 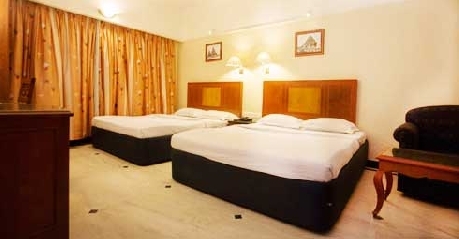 The single bed room is well furnished and is accommodated to a single traveller that features a comfortable single bed, fully air conditioned with in room temperature control, LCD TV with satellite connection, drinking hot water kettles, complimentary Wi-Fi facility, attached bathroom with running hot/cold water, direct calling facility with STD & ISD facility, a spacious wardrobe, separate sitting area, a workstation, 24 hour room service, extra charge on laundry services and tea/coffee maker. 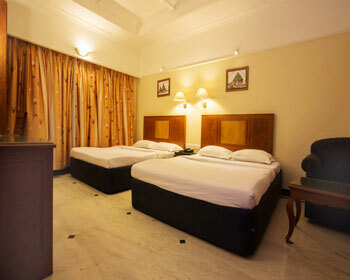 The double bed room is accommodated to travellers coming in groups of two and is available with A/C or non A/C. The room includes a large king sized bed, LCD TV with cable connection, drinking hot water kettle, air conditioned (if chosen A/C room), a ceiling fan, complimentary Wi-Fi internet service, direct dialing facility, laundry service, all day room service, in room tea/coffee maker, attached bathroom with running hot/cold water, a separate sitting area and a workstation. 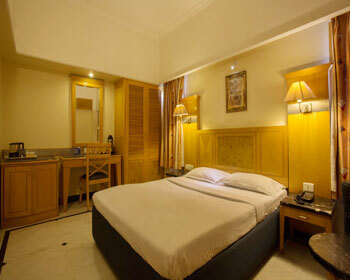 The triple bedroom is well designed and is available with A/C or non A/C. 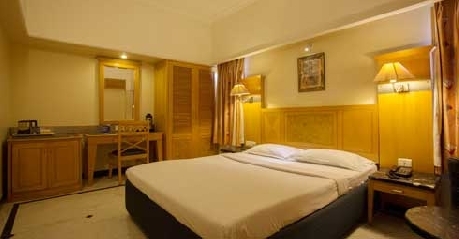 The room features a comfortable double bed along with a single bed, attached bathroom with running hot/cold water, fully air conditioned (if chosen the A/c room), a ceiling fan, LCD TV with satellite connection, drinking hot water kettle, complimentary Wi-Fi services, direct calling facility, extra charge on laundry services, tea/coffee maker, 24 hour room service, a separate sitting area and a large workstation. 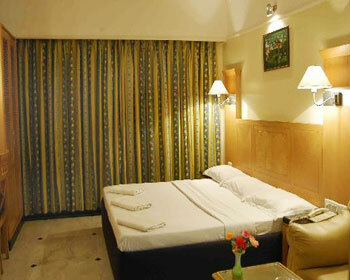 The spacious room is generally accommodated to large families or friends. 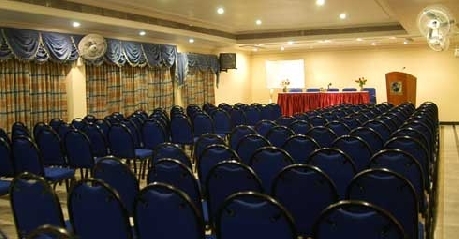 The room offers two comfortable double beds, fully air conditioned with in room temperature control, LCD TV with satellite connection, drinking hot water in kettle, complimentary Wi-Fi facility, extra charge on laundry services, attached bathroom with running hot/cold water, tea/coffee maker, 24 hour room service, a separate sitting area for the large group and a large workstation. 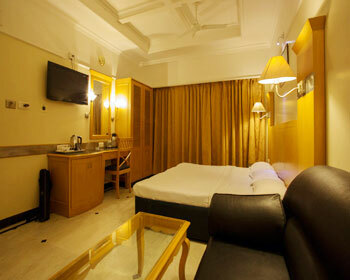 The large contemporarily designed suites are either available in A/C or non A/C . 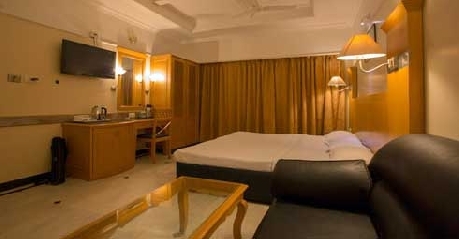 The suite features a large king sized bed, fully air conditioned with in room temperature control, a ceiling fan, LCD TV with satellite connection, in room tea/coffee maker, free Wi-Fi services, direct dialing facility, extra charge on laundry services, attached bathroom with a separate shower cubicle, all day room service and a living room. 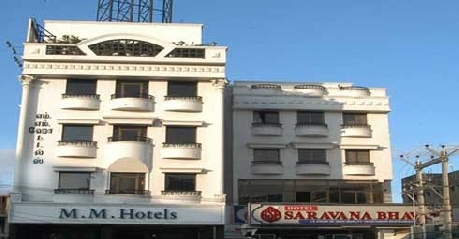 One of the most popular South Indian restaurants of Chennai, SarvanaBhavan has its outlet in MM hotel. The hotel serves South Indian as well as North Indian cuisine along with some irresistible desserts and fresh juices.